" I have been practicing as a Consultant Ophthalmologist in Cork since 2005. 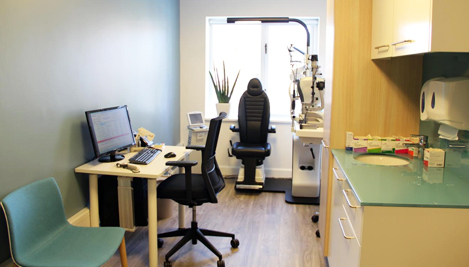 Providing an excellent standard of care has always been my utmost concern and to this aim I have expanded my practice to my newly refurbished and state of the art equipped suites at the Cork Eye Clinic. 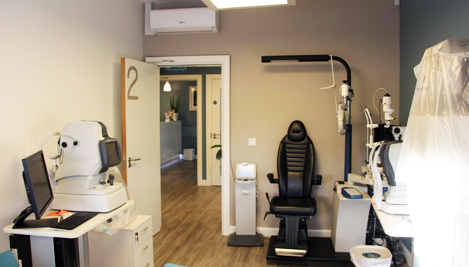 This investment in the latest Diagnostic and therapeutic technology ensures a more comprehensive service to my patients and the use of digital media allows for an enhanced and patient orientated consultation. Understanding the diagnosis and treatment process increases compliance and therefore improves the effectiveness of treatment. I find that the overall result of this is a more satisfactory experience for my patients." This is carried out under Topical Anesthesia (needle free); this avoids a local anesthetic injection, which can be painful and a source of stress for patients. Topical anesthesia is free from side effects associated with other forms of local anesthesia and has the added advantage of no disruption to the patients anticoagulation treatment (there is no need to stop Aspirin or Warfarin). Mr. Golchin provides a full assessment and management plan for Glaucoma patients. Mr. Golchin provides Humphrey Visual Field assessment which is recognized as the gold standard perimetry test for Glaucoma as well as OCT assessment of the optic nerve head. Mr. Golchin also provides a new treatment modality in the form of Selective Laser Trabeculoplasty (SLT). The treatment of age related macular degeneration has been revolutionized with the advances in the treatment available. The prevalence of this condition is on the rise owing to the increase in our elderly population. Mr. Golchin provides fundus photography and OCT as well as anti-VEGF intra vitreal injections for the exudative type of Age Related Macular degeneration. Mr. Golchin provides a screening and management service for diabetic patients, which includes digital fundus photography and OCT. The treatment plan is followed up on digital records held for the patient. Treatment when needed is given in the form of Argon Laser and intra-vitreal injections of anti-VEGF drugs. We enjoy a close relationship with the General Practitioners and eye care providers in the community. This allows for a better patient experience and provides continuity of care.